Full channel coverage. 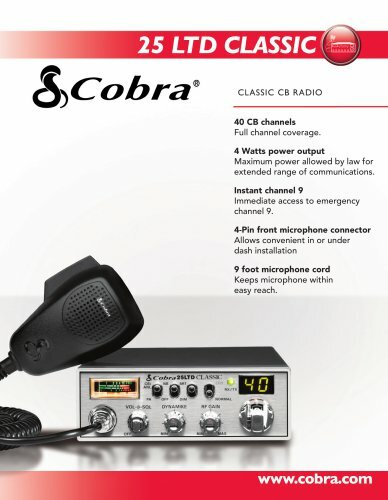 4 Watts power output Maximum power allowed by law for extended range of communications. Immediate access to emergency 4-Pin front microphone connector Allows convenient in or under dash installation 9 foot microphone cord Keeps microphone within easy reach.